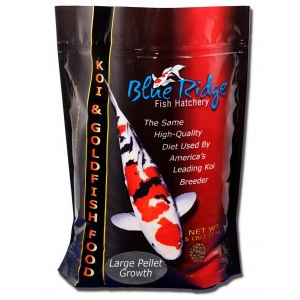 Cool Water Wheat Diet provides improved digestibility at low temperatures, when koi and goldfish metabolisms are slowed. This feed should be used when water temperatures are below 60 degrees F. Available in large pellet only. Ingredients: dehulled soybean meal, ground corn, fish meal, wheat middlings, fish meal, wheat germ, porcine animal fat preserved with BHA, poultry by-product meal, porcine meat meal, brewers dried yeast, DL-methionine, pyridoxine hydrochloride, tagetes extract, L-ascorbyl-2-polyphosphate, menadione sodium bisulfate complex, folic acid, cholecalciferol, calcium pantothenate, thiamine mononitrate, riboflavin, DL-alpha tocopheryl acetate, biotin, ethoxyquin (a preservative), vitamin A acetate, nicotinic acid, choline chloride, vitamin B-12 supplement, zinc oxide, manganous oxide, ferrous carbonate, copper sulfate, zinc sulfate, calcium iodate, calcium carbonate, cobalt carbonate, sodium selenite. 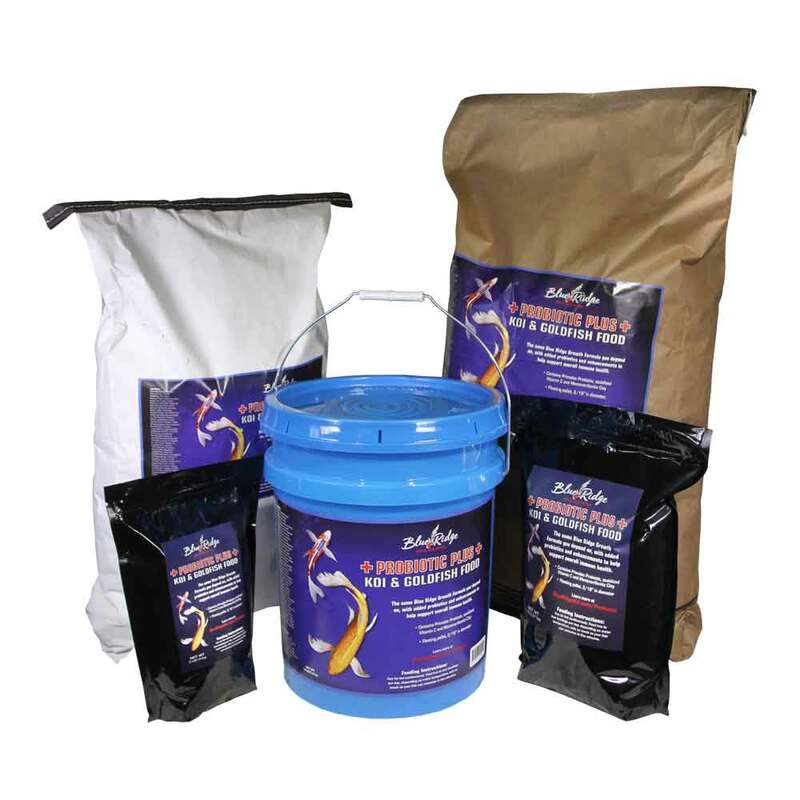 Ruminant meat and bone meal free.